A family budget can help with many aspects of your daily life. Working hard and paying bills on time is not always enough to keep a family financially secure. A great way to make sure that you and your family remain secure and on track is through a family budget. 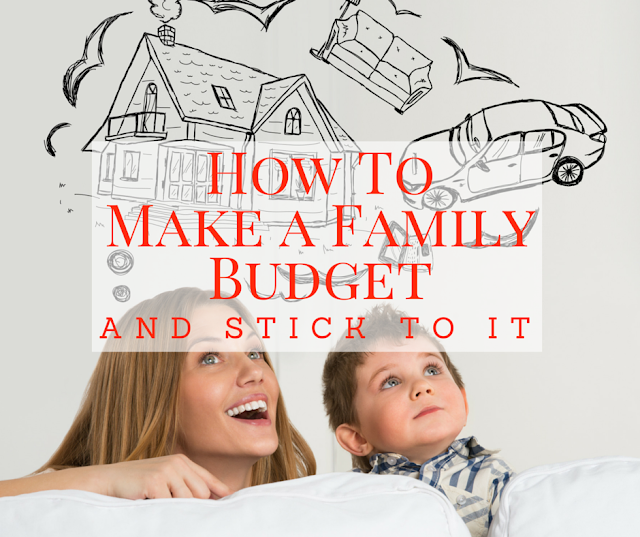 One common misconception is that making a family budget is hard work or that it is time consuming to manage. Use this guide to learn an easy way to create a family budget. You can use a family budget for many different reasons; budgeting can help you save for the future, build credit by making sure payments are made on time, and it can even help alleviate stress caused by financial uncertainty. No matter what your reasoning for starting a family budget this guide will serve as a helpful way to help you learn how to make a family budget! Before you can begin any kind of family budget plan you need some basic information. You will need to have a detailed listing of all your monthly expenditures and income. Make two lists, it’s the easiest way. This information will serve as the backbone of your family budget so make your list as detailed as possible. One good idea is to only include income is that you get regularly and that is guaranteed. You don’t want to include this month’s occasional eBay sale or the funds from your summer yard sale. Unless you will be receiving the same amount each month, don’t add it to your list! An accurate list will help make sure that you and your family are successful in sticking to your budget! It can be useful if you are a family that is paid every other week to split your budget into two halves. Set two payment dates and then divide your bills accordingly by due date. Make sure you give yourself plenty of time if you are mailing checks to arrive at their destination! The easiest way to handle payments is to sit down on those two days and do not get up until all of the payments are made; electronic or hand written, make sure they’re stamped or submitted before you are done! Chances are if this is the first time you’ve made a list of EVERY expenditure you make in a month you’ll be a little overwhelmed. Fear not! This is a good thing! Use this list to make changes before you finalize your family budget. If you are subscribing to Hulu, Netflix, and Amazon Prime, you could probably save yourself some money by cutting one or two out. Perhaps this is the first time you’ve realized that your cable bill is passed its contract and has skyrocketed; call and find out how to lower the rate or cancel and move to a different platform. Use this opportunity to help you cut back and make changes to your bills. This is also an excellent opportunity to realize if you are living within your means. If the answer is “no” you made need to consider a more heavy handed approach to your cutting back strategy! If you are a confident money manager then a simple tracking sheet in word or excel and your regular checking account will work fine for managing and tracking your family budget. If you are a new budgeter you may want to consider a more old fashioned approach: cash. Write out envelopes for each bill or fee, cash paychecks out and place the money in each envelope. This works great for entertainment accounts, coffee run funds, gas money, etc. When the cash is gone that’s all there is. No more spending. If you don’t feel confident in your ability to say “no” to yourself and your family, this is the method you need to use. Remember that it’s always more important to fill the envelopes for bills before the envelopes for fun stuff! Put the money that you make, but don’t require to meet y our budgeted amounts, in a difficult to access account. Set up a high yield savings or a money market account with limited monthly transactions. You will get more interest on these funds and you will be less likely to access the money! If you know that each month you make $6,000 but you only need $5,500 for your family budget that $500 should go directly into the account before you do anything else. First $500 in the account each month gets moved to the locked down savings account! Tax time is also a great opportunity to put away a decent chunk of money if you're one of those folks lucky enough to get a refund. All you have to do it find a good tax program and perhaps a free tax calculator and you should be able to determine what you can expect back at tax time. No matter what your motivation for setting up a family budget you can help push yourself towards financial independence with a firm plan! 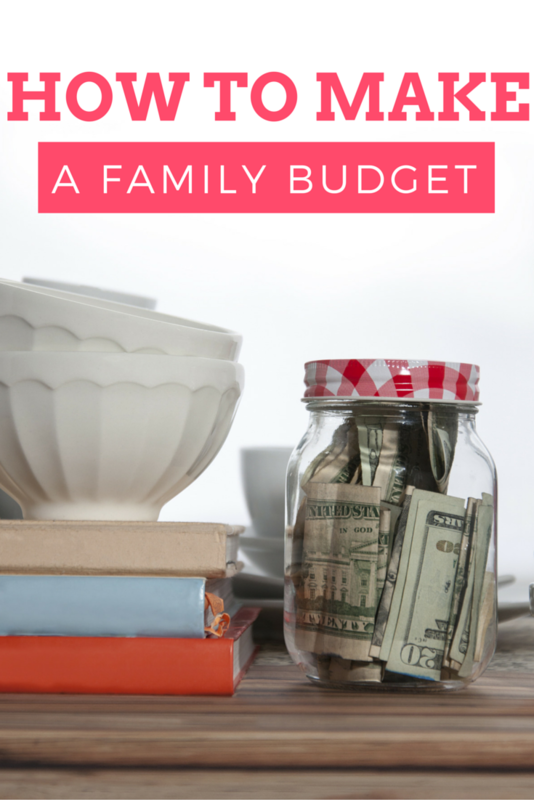 How do you run your family budget each month? Does it help you save or just keep you on track?